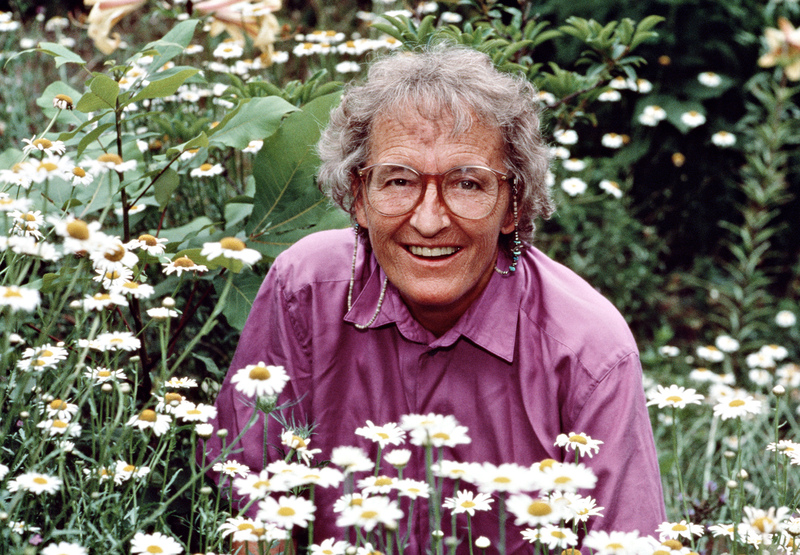 Ten years after Elisabeth Kübler-Ross’s death: “An inspiring…guide to life, distilled from the experiences of people who face death” (Kirkus Reviews)—the beloved classic now with a new introduction and updated resources section. Each one of us at some point asks this question. The tragedy is not that life is short, but that we often see only in hindsight what really matters. 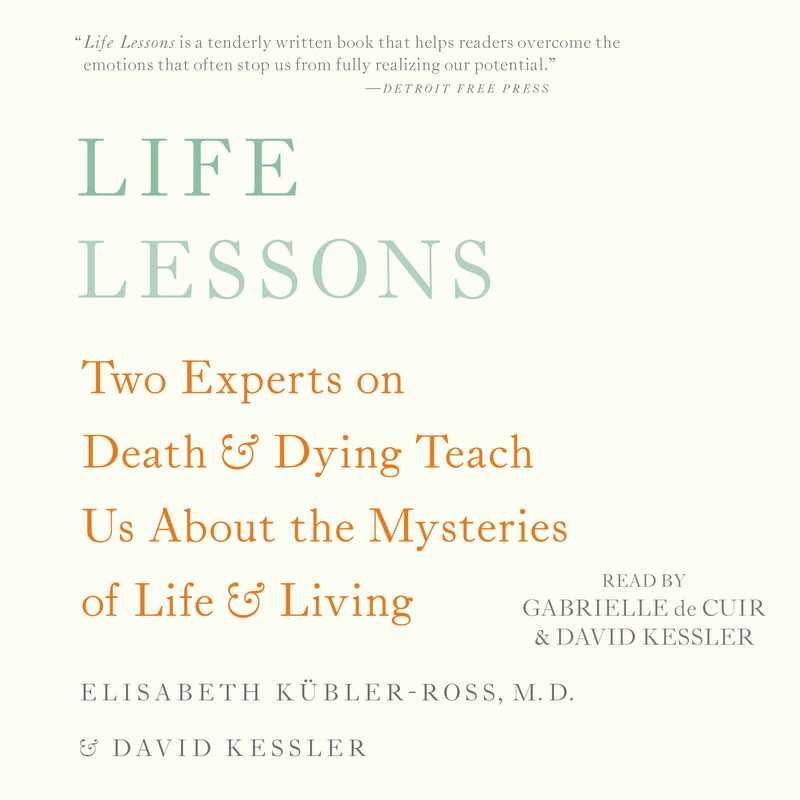 In what was her first book on life and living, Elisabeth Kübler-Ross joined with David Kessler to guide listeners through the practical and spiritual lessons we need to learn so that we can live life to its fullest in every moment. Many years of working with the dying showed the authors that certain lessons come up over and over again. Some of these lessons are enormously difficult to master but even the attempts to understand them can be deeply rewarding. Here, in fourteen accessible chapters, from the Lesson of Love to the Lesson of Happiness, the authors reveal the truth about our fears, our hopes, our relationships, and above all, about the grandness of who we really are. "One Friday afternoon several years ago, I was on my way from Los Angeles to Palm Springs. This is not the best time to take on the Los Angeles freeway traffic, but I was anxious to get to the desert to spend a relaxing weekend with friends. "At the outskirts of Los Angeles, the cars in front of me came to a standstill. As I came to a stop behind a long line of cars, I glanced in my rearview mirror to discover that the car behind me was not stopping. In fact, it was hurling toward me with tremendous speed. I realized that the driver was not paying attention, that I was going to be hit, and hit hard. I knew that given his speed and the fact that I was nose-to-rear with the car stopped in front of me, I was in great danger. I realized, in that moment, that I might die. "I looked down at my hands clenched on the steering wheel. I hadn't consciously tightened them; this was my natural state, and this is how I lived life. I decided that I did not want to live that way, nor did I want to die that way. I closed my eyes, took a breath, and dropped my hands to my side. I let go. I surrendered to life, and to death. Then I was hit with enormous force. "When the movement and noise stopped, I opened my eyes. I was fine. The car in front of me was wrecked, the car behind me was demolished. My car was compacted like an accordion. "The police told me I was lucky I had relaxed, for muscle tension increases the likelihood of severe injury. I walked away feeling that I had been given a gift. The gift wasn't just that I had survived unhurt, it was greater than that. I saw how I had been living life and was given the opportunity to change. I had held life with a clenched fist, but now I realized that I could hold it in my open hand, as if it were a feather resting on my palm. I realized that if I could relax enough to release my fear in the face of death, I could now truly enjoy life. In that moment, I felt more connected to myself than I ever had before." Like many others at the edge of life, Stephanie learned a lesson -- not about death, but about life and living. Deep inside all of us, we know there is someone we were meant to be. And we can feel when we're becoming that person. The reverse is also true. We know when something's off and we're not the person we were meant to be. Consciously or not, we are all on a quest for answers, trying to learn the lessons of life. We grapple with fear and guilt. We search for meaning, love, and power. We try to understand fear, loss, and time. We seek to discover who we are and how we can become truly happy. Sometimes we look for these things in the faces of our loved ones, in religion, God, or other places where they reside. Too often, however, we search for them in money, status, the "perfect" job, or other places, only to find that these things lack the meaning we had hoped to find and even bring us heartaches. Following these false trails without a deeper understanding of their meaning, we are inevitably left feeling empty, believing that there is little or no meaning to life, that love and happiness are simply illusions. Some people find meaning through study, enlightenment, or creativity. Others discover it while looking at unhappiness, or even death, directly in the eye. Perhaps they were told by their doctors they had cancer or had only six months to live. Maybe they watched loved ones battle for life or were threatened by earthquakes or other disasters. They were at the edge. They were also on the brink of a new life. Looking right into the "eye of the monster," facing death directly, completely and fully, they surrendered to it -- and their view of life was forever changed as they learned a lesson of life. These people had to decide, in the darkness of despair, what they wanted to do with the rest of their life. Not all of these lessons are enjoyable to learn, but everyone finds that they enrich the texture of life. So why wait until the end of life to learn the lessons that could be learned now? What are these lessons life asks us to master? In working with the dying and the living, it becomes clear that most of us are challenged by the same lessons: the lesson of fear, the lesson of guilt, the lesson of anger, the lesson of forgiveness, the lesson of surrender, the lesson of time, the lesson of patience, the lesson of love, the lesson of relationships, the lesson of play, the lesson of loss, the lesson of power, the lesson of authenticity, and the lesson of happiness. Learning lessons is a little like reaching maturity. You're not suddenly more happy, wealthy, or powerful, but you understand the world around you better, and you're at peace with yourself. Learning life's lessons is not about making your life perfect, but about seeing life as it was meant to be. As one man shared, "I now delight in the imperfections of life." We're put here on earth to learn our own lessons. No one can tell you what your lessons are; it is part of your personal journey to discover them. On these journeys we may be given a lot, or just a little bit, of the things we must grapple with, but never more than we can handle. Someone who needs to learn about love may be married many times, or never at all. One who must wrestle with the lesson of money may be given none at all, or too much to count. We will look at life and living in this book, discovering how life is seen from its outer edge. We will learn that we are not alone, seeing instead how we are all connected, how love grows, how relationships enrich us. Hopefully, we will correct the perception that we are weak, realizing that not only do we have power, we have all the power of the universe within ourselves. We will learn the truth about our illusions, about happiness and the grandness of who we really are. We will learn how we have been given everything we need to make our lives work beautifully. In facing loss, the people we have worked with realized that love is all that matters. Love is really the only thing we can possess, keep with us, and take with us. They've stopped looking for happiness "out there." Instead, they've learned how to find richness and meaning in those things they already have and are, to dig deeper into the possibilities that are already there. In short, they've broken down the walls that "protected" them from life's fullness. They no longer live for tomorrow, waiting for the exciting news about the job or the family, for the raise or the vacation. Instead, they have found the richness of every today, for they have learned to listen to their heart. Life hands us lessons, universal truths teaching us the basics about love, fear, time, power, loss, happiness, relationships, and authenticity. We are not unhappy today because of the complexities of life. We are unhappy because we miss its underlying simplicities. The true challenge is to find the pure meaning in these lessons. Many of us think we were taught about love. Yet we do not find love fulfilling, because it's not love. It is a shadow darkened by fear, insecurities, and expectations. We walk the earth together yet feel alone, helpless, and ashamed. When we face the worst that can happen in any situation, we grow. When circumstances are at their worst, we can find our best. When we find the true meaning of these lessons, we also find happy, meaningful lives. Not perfect, but authentic. We can live life profoundly. Perhaps this is the first and least obvious question: Who is it that is learning these lessons? Who am I? We ask ourselves this question over and over again during our lives. We know for sure that between birth and death there is an experience that we call life. But am I the experience or the experiencer? Am I this body? Am I my faults? Am I this disease? Am I a mother, banker, clerk, or sports fan? Am I a product of my upbringing? Can I change -- and still be me -- or am I cast in stone? You are none of those things. You undoubtedly have faults, but they are not you. You may have a disease, but you are not your diagnosis. You may be rich, but you are not your credit rating. You are not your résumé, your neighborhood, your grades, your mistakes, your body, your roles or titles. All these things are not you because they are changeable. There is a part of you that is indefinable and changeless, that does not get lost or change with age, disease, or circumstances. There is an authenticity you were born with, have lived with, and will die with. You are simply, wonder-fully, you. Watching those who battle illness makes it clear that to see who we are we must shed everything that is not authentically us. When we see the dying, we no longer see those faults, mistakes, or diseases that we focused on before. Now we see only them, because at the end of life they become more genuine, more honest, more themselves -- just like children and infants. Are we only able to see who we actually are at life's beginnings and endings? Do only extreme circumstances reveal ordinary truths? Are we otherwise blind to our genuine selves? This is the key lesson of life: to find our authentic selves, and to see the authenticity in others. The great Renaissance artist Michelangelo was once asked how he created sculptures such as the Pietàs or David. He explained that he simply imagined the statue already inside the block of rough marble, then chipped away the excess to reveal what had always been there. The marvelous statue, already created and eternally present, was waiting to be revealed. So is the great person already inside of you ready to be revealed. Everyone carries the seeds of greatness. "Great" people don't have something that everyone else doesn't; they've simply removed a lot of the things that stand in the way of their best selves. Unfortunately, our inherent gifts are often hidden by layers of masks and roles we've assumed. The roles -- such as parent, worker, pillar of community, cynic, coach, outsider, cheerleader, nice guy, rebel, or loving child caring for ailing parent -- can become "rocks" burying our true selves. Sometimes roles are thrust upon us: "I expect you to study hard and grow up to be a doctor." "Be ladylike." "Here at the firm, you must be efficient and diligent if you expect to advance." Sometimes we eagerly assume roles because they are, or seem to be, useful, uplifting, or lucrative: "Mom always did it this way, so that's probably a good idea." "All Scout leaders are noble and sacrificing, so I will be noble and sacrificing." "I don't have any friends at school, the popular kids are surfers, so I'll be a surfer." Sometimes we consciously or unwittingly adopt new roles as circumstances change and are hurt by the result. For instance, a couple may say, "It was so wonderful before we got married. Once we were married, something went wrong." When the couple was together before, they were just being. The moment they got married they took on the roles that had been taught to them, trying to "be a husband" and "be a wife." On some subconscious level they "knew" what a husband or wife should be like and tried to act accordingly instead of being themselves and discovering what kind of spouses they wanted to be. Or, as one man explained, "I was such a great uncle, now I feel so disappointed in the father I've become." As an uncle, he interacted with children from his heart. When he became a father, he felt he had a specific role to assume, but that role got in the way of his being who he is, authentically himself. It's not always easy to find out who you authentically are. As many of you know, I was born one of a set of triplets. In those days, triplets were dressed alike, given the same toys, enrolled in all the same activities, and so on. People even responded to you not as individuals, but as a set. No matter how good we three were in school, I quickly learned that whether I tried or not, we would always get C's. One of us may have earned A's and another F's, but the teachers always confused us, so it was safer to give all of us C's. Sometimes when I would sit in my father's lap, I knew he did not know which one I was. Can you imagine what this does to your identity? Now we know how important it is to recognize the individual, to recognize how different each of us is. These days, when multiple births have become routine, parents have learned not to dress and treat their kids alike. Being a triplet began my search for authenticity. I have always tried to be myself, even when being myself may have not been the most popular choice. I don't believe in being a phony-baloney for any reason. Throughout my life, as I've learned to be my real self, I've developed a knack for recognizing others who are authentically themselves. I call it sniffing someone out. You don't smell with your nose, you smell with all your senses if someone is real or not. I've learned to sniff people when I meet them and if they smell real, I give them a signal to come close. If not, I give them a signal to go away. In working with the dying you develop a keen sense of smell for authenticity. At times in my life the inauthenticity was not obvious; other times it was very much so. For example, people often want to look like the "nice person" by driving me to my lectures and pushing me in my wheelchair to the stage. But then, once that's happened, I often have trouble finding a way home. I realized in those situations that I was just being used to inflate their egos. If they were really nice people and not just assuming the role, they would also want to make sure I got home okay. Most of us play many roles throughout our lifetimes. We have learned how to shift roles, but we don't often know how to look behind them. The roles we assume -- spouse, parent, boss, nice guy, rebel, etc. -- are not necessarily bad and can provide useful models to follow in unfamiliar situations. Our task is to find those parts that work for us, and those that don't. It is like peeling the layers of an onion, and just like peeling an onion, it's a task that can bring on a few tears. It may be painful, for example, to acknowledge the negativity in ourselves and find ways to externalize it. Each of us contains the potential to be anything from Gandhi to Hitler. Most of us do not like the idea that we contain a Hitler; we don't want to hear it. But we all have a negative side, or a potential for negativity: denying it is the most dangerous thing we can do. It's cause for concern when some people completely deny the potentially dark side of themselves, insisting that they are not capable of strongly negative thoughts or actions. To admit we have the capacity for negativity is essential. After admitting it, we can work on and release it. And as we learn our lessons, we often strip away layers of roles to find things we're not happy about. It doesn't mean that who we are, that our essence, is bad. It means we had a facade we didn't recognize. If you discover you're not a supernice person, it's time to shed that image and be who you are, because being an extraordinarily nice person every moment of your life is being a phony-baloney. Many times the pendulum has to swing all the way to the other side (you become a grump) before it can come back to the middle point where you discover who you really are -- someone who is nice out of compassion rather than someone who is giving to get. Even more challenging is to let go of defense mechanisms that helped us survive in childhood, because once these tools are no longer needed they can turn against us. A woman learned when she was a child to isolate herself from her alcoholic father: she knew that it was best to leave the situation and leave the room when it became overwhelming. This was the only tool a six-year-old girl could come up with when her father was drunk and yelling. It helped her survive a difficult childhood, but now that she herself is a mother, such withdrawal is harmful to her children. Tools that no longer work must be released. We must thank them and let them go. And sometimes people have to grieve for that part of them that will never be. This mother had to grieve for the normal childhood she was never granted. Sometimes we get a lot out of these roles, but we often realize with maturity that they have a cost. At a certain point the cost becomes too much to bear. Many people are well into middle age before realizing that they have been the "forever caretaker and peacemaker" in their family. When they understand this, they'll say that they certainly are nice, but it got pushed way out of proportion in their family. Without seeing what was happening, they took on the responsibility of making sure their parents and siblings were always happy, they solved all the fights, loaned everyone money, helped them get jobs. At some point, you may realize that the burdensome role is not you, so you drop it. You're still a nice person, but you no longer feel obligated to make sure everyone else is happy. The reality of the world is that some relationships don't work out; there are supposed to be disagreements and disappointments. If you feel responsible for fixing every problem, you will pay a high price because that's an impossible task. How will you respond to the new you? You might realize that the role was a chore: "It's great now that I don't feel responsible for everyone's happiness." You might realize that you were deceiving others: "I was manipulating everyone, trying to get them to like me more by being nice." You might realize that you are lovable just as you authentically are. You might find that your actions came out of fear: fear of not being good, fear of not going to heaven, fear of not being liked. You might realize that you were using the role to win trophies: "I always thought I'd become that person everyone loved and admired, but I'm just human like everyone else." You might realize that it's safe for other people to have problems, that they are on their path to finding out who they are. You might realize that you make them weak, so that you feel stronger. You might realize that by focusing on what's "broken" in them, you avoid your own issues. Most of us have not committed criminal acts, but we do have to work through the darker parts of our personalities. Black and white are apparent; it's those gray parts that we often hide and deny: the "nice" guy, the isolator, the victim, and the martyr. These are the gray parts of our shadow self. We can't work on the deep negativity if we can't admit that we have negative sides. If we acknowledge all of our feelings, we can become our whole selves. You might mourn for the loss of these roles, but you'll know you're better off because you're more genuinely you. Who you are is eternal; it never has and never will change. Who we are is much more than our circumstances, whether they be great or small, though we tend to define ourselves by our circumstances. If it is a great day -- if the weather's good, the stock market is up, the car is clean and shiny, the kids get good report cards, the dinner-and-show goes well -- we feel as if we are great people. If not, we feel as if we're worthless. We move with the tide of events, some controllable, others not. But who we are is much more unchanging than that. It is not defined by this world or our roles. These are all illusions, myths that do not serve us well. Underneath all our circumstances, all our situations, is a great person. We discover our true identities and greatness by letting go of all the illusions of identity to discover our true selves. We often look to others to define us. If others are in a bad mood, we are brought down. If others see us as being wrong, we become defensive. But who we are is beyond attack and defense. We are whole, complete, and of worth just as we are, whether we are rich or poor, old or young, receiving an Olympic gold medal, or beginning or ending a relationship. Whether at the beginning or the end of life, at the height of fame or in the depths of despair, we are always the people behind our circumstances. You are what you are, not your disease, not what you do. Life is about being, not doing. I asked a woman who was dying, "Who are you now?" She said, "In all the roles I had, I felt so common, I felt like I had lived a life so many other people could have lived. What made my life different from anyone else's? "What I've realized through my illness was so eye-opening for me: I'm truly a unique person. No one else has ever seen or experienced the world in quite the way I have. And no one else ever will. Since the beginning of time, until the end of time, there will never be another me." This is as true for you as it was for her. No one has ever experienced the world in quite the way you have, with your particular history and the events that happened to you. Who you are is unique beyond comprehension. But not until we discover who we truly are can we begin to celebrate our uniqueness. Many people have serious breakdowns when they realize they don't know who they are; trying to get to know themselves for the first time is a daunting task. They realize they don't know how to react to themselves as themselves, as opposed to who they think they should be. When people are hit with life-challenging diagnoses, they may, for the first time, have to figure out who they are. Asking ourselves "Who is dying?" usually leads to the answer that a part of ourselves doesn't die, but continues, has always been. When the day comes that we're ill and can no longer be the banker, traveler, doctor, or coach, we have to ask ourselves an important question: "If I'm not those things, then who am I?" If you're no longer the nice guy at the office, the selfish uncle, the helpful neighbor, who are you? Discovering and being authentic to ourselves, finding out what we want to do and do not want to do -- we do this by being committed to our own experiences. We must do everything because it brings us joy and peace, from the job we have to the clothes we wear. If we do something to make ourselves worthy in the eyes of others, we are not seeing the worth in ourselves. It's amazing how much more we live by what we should do than by what we want to do. Once in a while, give in to an urge you would usually suppress, try doing something "odd" or new. You may learn something about who you are. Or ask yourself what you would do if no one was looking. If you could do anything you wanted, without consequences, what would it be? Your answer to that question reveals a lot about who you are, or at least what is in your way. Your answer may point to a negative belief about yourself, or a lesson to work on before you can discover your essence. If you say you would steal, you probably fear that you do not have enough. If you say you would lie, you probably do not feel safe telling the truth. If you say you would love someone whom you are not loving now, you may fear love. I always rushed around on vacations, getting up early in the morning, seeing and doing as many things as possible during the day, returning to my hotel late at night exhausted. Finally realizing that I never had any fun on my vacations, that they were always stressful, I asked myself what I would do if nobody was looking. The answer was that I'd sleep late, see a few sites at a leisurely pace, and sit on the veranda or beach for at least an hour a day reading a good book or just doing nothing. The role of "enthusiastic vacationer seeing absolutely everything" wasn't me. I did it because I thought I should, but I was much happier when I realized that I had more fun, and learned more, when I mixed sight-seeing with relaxing. What would you do if your parents, society, boss, teacher, weren't around? How would you define yourself? Who is under all that stuff? That's the real you. At age sixty, Tim, the father of three daughters, had a heart attack. He had been a good father to the now grown trio, whom he had raised on his own. After the heart attack he began to examine his life. "I realized it was not only my arteries that had hardened," he explained. "I had hardened. It happened years ago when my wife died. I needed to be strong. I wanted the girls to grow up strong, too. So I was tough on them. Now that task is over. I'm sixty, my life will soon be over. I don't want to be tough anymore. I want the girls to know they have a father who loves them very much." In his hospital room he told his daughters of his love. They had always known about it, but this softening brought tears to everyone's eyes. He no longer felt he had to be the father he should be, and may have had to have been, back then. Instead, he could be the person he was inside. We're not all geniuses like Einstein or great athletes like Michael Jordan, but "chipping away the excess" will allow us all to be brilliant in one way or another, depending on our own gifts. Who you are is the purest of love, the grandest kind of perfection. You are here to heal yourself and to remember who you have always been. It is your guiding light in the darkness. Trying to find out who you are will lead you to the work you need to do, the lessons you need to learn. When our inner and outer beings are one, we no longer need to hide, fear, or protect ourselves. We see who we are as something that transcends our circumstances. Late one evening, I was speaking to a man in a hospice. He was suffering from ALS (Lou Gehrig's disease). "What's the hardest part of this experience for you," I asked. "The hospitalization? The disease?" "No," he replied. "The hardest part is that everyone sees me in the past tense. Something that once was. No matter what's going on with my body, I will still be a whole person. There is a part of me that is not definable and doesn't change, that I will not lose and does not disappear with age or disease. There is a part of myself that I cling to. That is who I am and that is who I will always be." The man discovered that the essence of who he was went way beyond what was going on with his body, how much money he had made, or how many children he had fathered. After we strip away these roles, we are what's left. There is within each of us a potential for goodness beyond our imagining, for giving without seeking reward, for listening without judging, for loving unconditionally. That potential is our goal. We can approach it in large ways and small ways every minute of the day, if we try. Many people, touched by illness and wishing to touch others, have worked through their own growth. They move toward a completion of their unfinished business and are now in a position to light candles for others. Who we are means honoring the integrity of our human selves. That sometimes includes those dark parts of our beings that we often try to hide. We think sometimes we're only drawn to the good, but we're actually drawn to the authentic. We like people who are real more than those who hide their true selves under layers of artificial niceties. Years ago, at the University of Chicago Medical School, I was fortunate to be selected as "favorite professor." This was one of the biggest honors we professors could receive; we all wanted to be recognized by our students. The day it was announced that I had won, everyone acted nicely toward me, as they usually did. But no one said anything to me about the award. I sensed something behind their smiles, something they weren't saying. Toward the end of that day a gorgeous flower arrangement arrived at my office from one of my colleagues, a child psychiatrist. The card read, "Jealous as hell, congratulations anyway." From that moment on I knew I could trust that man. I loved him for being so real, so authentic. I would always feel that I knew where he stood and feel safe around him, because he showed his true self. The grandest kind of perfection of who we are includes being honest about our dark sides, our imperfections. We find comfort when we know who someone else is. And it is just as important that we learn the truth about ourselves, the truth about who we are. A man shared the story of his grandmother, who, in her late seventies, was very ill. "I was having so much trouble letting her go," he explained. "I finally got up the courage to say to her, 'Nana, I don't think I can let you go.' I know that sounds selfish, but it's what I felt. "When I heard those words, 'I now know who I am,' I could let her go. That did it for me. It sounded so complete. I told her when it was my time to die, I hoped I would be like her and know who I am. She leaned forward, as if to tell me a secret, and said, 'You don't have to wait until you are dying to find out what kind of pie you are.'"